The promise of an all-digital future that began with the rollout of Steam 15 years ago next week has increasingly become a reality. The three leading consoles now support digital purchase and storage, and the increasing percentage of gamers taking advantage of those offerings has eroded the value of the world's largest video game retailer. And yet, while the promise of an all-digital landscape suggests prioritizing ease-of-use and player convenience, publishers with deep catalogues and strong IPs are muddying the waters. They might turn the dream into a nightmare. The shift began with Origin and Uplay - EA's and Ubisoft's respective digital storefronts - which are both more like cumbersome walled gardens than dreamy digital interfaces. Just this month, Epic continued the trend, releasing Fortnite: Battle Royale to Android and bypassing the Google Play store. Bethesda also announced it wouldn't release Fallout 76 on Steam. With millions of dollars at stake, Epic and Bethesda figure it's the right time to test going their own way with distribution, catching players in the middle. It is possible to sell games outside of Steam, the App Store, and Google Play. Perhaps it's even advantageous. If you want to be on any of those platforms, you must pay Valve, Apple, or Google their 30% cut. Epic wanted Fortnite on iOS, so paying there was unavoidable. Android releases don't have to go through the Google Play store, so Epic found a corner it could cut. The company bypassed Google's storefront and created its own installer. That's not terribly surprising given the company's firm hold on the engine market, and the gargantuan demand for its latest, genre-busting title. Bethesda's falling out with Steam is more of a surprise. Bethesda and Valve seemed to have a good relationship, with Skyrim being one of Steam's most played games of all time. Bethesda said it would participate in Valve's heavily criticized plan for paid mods. While Bethesda has not ruled out the possibility of releasing future games on Steam, Fallout 76 on PC will only be available via the publisher's own website. 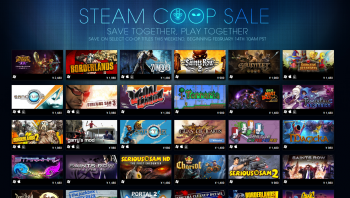 Sales or discounts increase the appeal of platforms like Steam, but its biggest impact for PC gamers was to provide a simple way to buy and organize games. Social features add value, but the growth came because you could turn on your computer, type in your credit card number, and start downloading Mass Effect in two minutes' flat. That is, before Origin. When Origin was released in 2011, there were technical issues and other growing pains plus complaints about EA being "greedy" and not caring about consumers. Uplay received similar treatment for its bugs and lack of features. Yet Uplay and Origin, with tens of millions of users, survive. Steam still sells EA games too, but it's a limited selection that doesn't feature anything newer than 2013 DLC for The Sims 3. 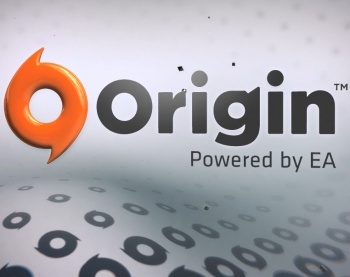 To digitally purchase the latest and greatest from EA, gamers are locked in to installing Origin - bugs and all. Will this be also true for Bethesda games in a couple of years? And will other publishers follow suit, further fracturing the digital landscape, requiring you enter your credit card and user info in more and more systems - and trust their creators to keep your information safe? In Epic's case, its Android installer had a day-one vulnerability that allowed fake files to be installed. Bypassing the Google Play store also requires bypassing its built-in protections. Epic patched the vulnerability quickly, but was the extra profit worth the additional risk? Challenging huge platform fees is good. These fees are the reason versions of apps that have full function elsewhere may be shells on another platform. For example, if a company's app sells books or games, and the company doesn't want to pay Apple's cut, no purchases will be possible in the iOS app. It's also one reason Valve put its Steam mobile app on hold. Instead of giving buyers fewer, more specialized stores, or making them turn off protections to get your game, could there be a solution that keeps consumer interest in mind that also challenges these fees to platform owners? Consider Hulu, the streaming service that formed as a joint venture between major networks and entertainment companies. The companies have varying stakes and split ownership of the platform. A Hulu-like distribution marketplace could work to serve as a hub that helps customers keep things simple, buying what they're interested in with one platform. Publishers continue to profit by each having a stake in the marketplace without the large fee. The future of streaming should be one that lets players feel like they have a stake and real choices. Otherwise the digital future could still wipe out GameStop but leave us with something more complicated, less convenient, and far riskier than simply walking into a store.